Bride and Groom must agree to premarital counseling. On campus weddings must be officiated by one of our ministers. Saturday on campus weddings must begin no later than 2 pm. Ready to find out more? Submit the Wedding Request Form and read the FAQ section below. Can anyone use the Pointe for their wedding at Connection Pointe? Either the Bride or Groom need to be in community at Connection Pointe for at least 6 months. What are the specific requirements to be married at CPCC or by a CPCC pastor? Bride and Groom must agree to premarital counseling. Bride and Groom must also agree to utilize our wedding coordinator, both on campus or at another location, when having a CPCC pastor officiate your wedding. When is CPCC’s Pointe available for a wedding? Friday evenings or Saturdays, service must be completed by 3 pm. What is the Pointe's capacity? The Pointe can accommodate up to 500 guests. When are the rehearsals held? Rehearsals are held the day before the wedding, usually at 5:30 pm and last for 1 hour. Due to CPCC’s campus activities, only wedding ceremonies can be held. 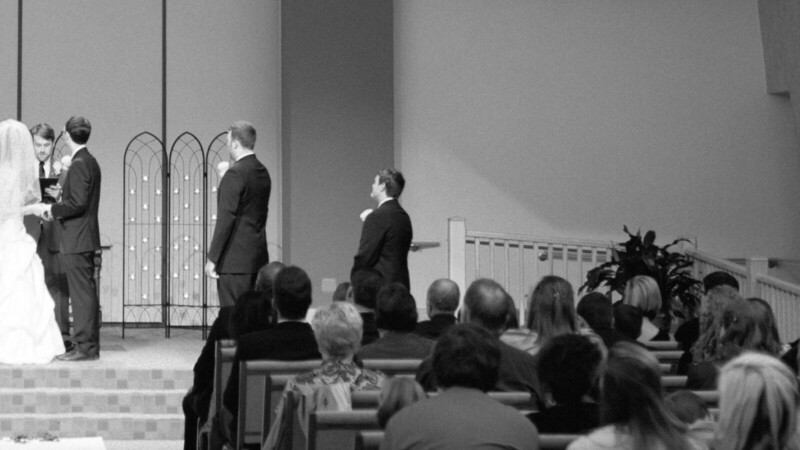 Can we choose the pastor we want to officiate at our wedding? How far in advance should I schedule my wedding? Request for January, February, June, July, November or December can be approved a year in advance. Any other months will be revised and/or approved September of the current year. Non-member Fees: $875 (Includes $150 refundable damage deposit). Member Fees: $475 (Includes $150 refundable damage deposit). Connection Pointe only facilitates or hosts weddings that it determines to be in keeping with its ancient Christian beliefs. Such weddings are a religious expression of the Christian faith as held by the church. Connection Pointe is not a public service wedding facility or a for-profit wedding venue; it is a religious institution that only performs religious ceremonies and as such reserves the right to decline hosting or facilitating any events which do not align with Connection Pointe’s religious mission or beliefs, as protected By the First Amendment of the U.S. Constitution.